Have a massive love for sushi? We've got just what you need! As you may or may not know, Japan has quite a lot of 100 yen sushi stores. Yes, less than a dollar for a plate of sushi. Coming from outside of Japan, this is a big deal. The sushi chains we have back home are generally more expensive-for the same quality you can get in 100 yen sushi stores. This is why we end up with so many stacks of plates on our table at these sushi places here. First of all, let's talk about quality. Of course, if you were to compare these shops to those normal to high-end sushi restaurants, the quality wouldn't be as good. But, personally, I care more about the quantity than quality when it comes to eating sushi. No, it doesn't mean that the quality doesn't matter. I just feel like there's not much improvement you could do for a plate of sushi. As long as the fish or material is good, then it's good, and believe me they have quite good quality of fishes and other ingredients. Living as a student around Yokohama National University, there are not a lot of 100 yen sushi stores. The closest one we could find would be Hamazushi, which is around Yokohama station and not really close to our campus. But is Hamazushi worth the visit? Yes. Definitely, yes. Although the name itself is Hamazushi, they have about 450 outlets throughout Japan and not only in Yokohama. The good part about the place would definitely be the good taste and the variety of their menu. From different kinds of sushi, sashimi, chawanmushi, to ramen, karaage, and of course, tasty desserts to cleanse your palates. Although some of them might cost to about 200 yen, their sushi for sure is 108 yen with tax. So if you can find one of their chains near the place you stay, it's definitely worth to try. Another one I would like to talk about would be, Kura Sushi. This chain is kind of famous so you might have heard about it before. Unfortunately, even though they own shops in Kanagawa, they don't own one in Yokohama. But they do have numerous outlets around the Tokyo area! Which is definitely worth to visit when you are craving for good quality, cheap sushi. In my opinion, kura sushi has better quality and provides a slightly more interesting experience for its customers. 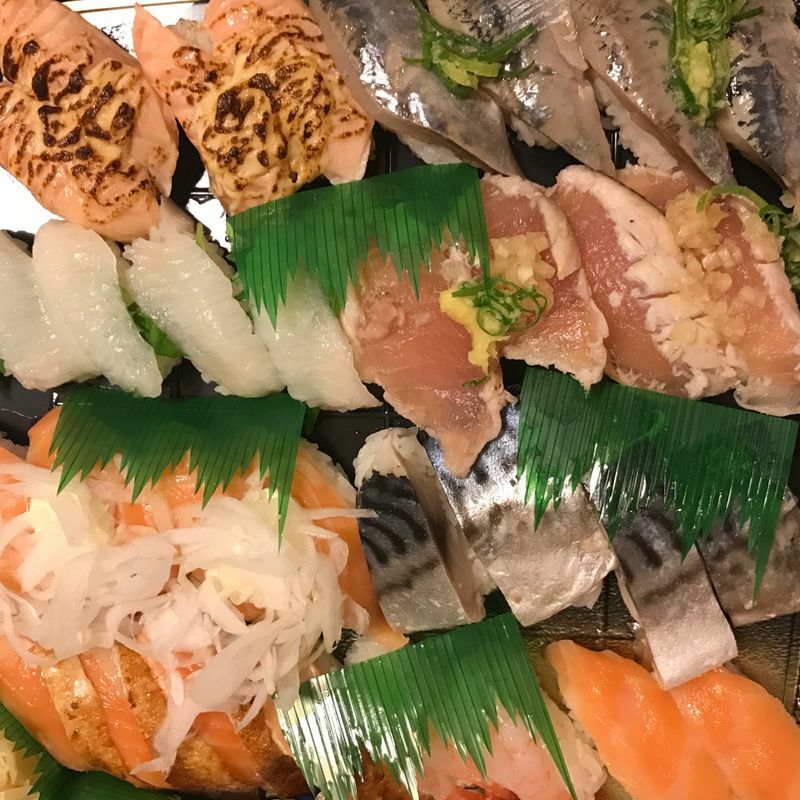 Since the sushi quality is much better with the same price, of course, it's much more worth to visit if you have one near your place. I believe both Hamazushi and Kura sushi provides about the same range of options in their menus. Now, about the "slightly more interesting experience", Kura sushi has this game in each of their booths where you get to put all the plates you've used and get a small prize from them. When I say small prize, I mean like a key chain of an anime character you might like and stuff. Anyways, this is not that important if you are coming only for the sushi. But, they do have the better quality with same price and same range of choices, so this experience only makes it better!